Here is the latest arrival to my 7" collection. 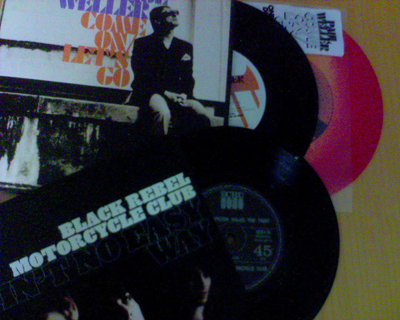 The new Paul Weller ComeOn/Lets Go. A double 7" with one of them as Tequila Sunrise from www.reflexcd.co.uk. The Second one is the latest single from Black Rebel Motorcycle Club. A 7" I won in a comp from www.badlands.se Nice fellows there ;).